In truth, it’s a bit of both. 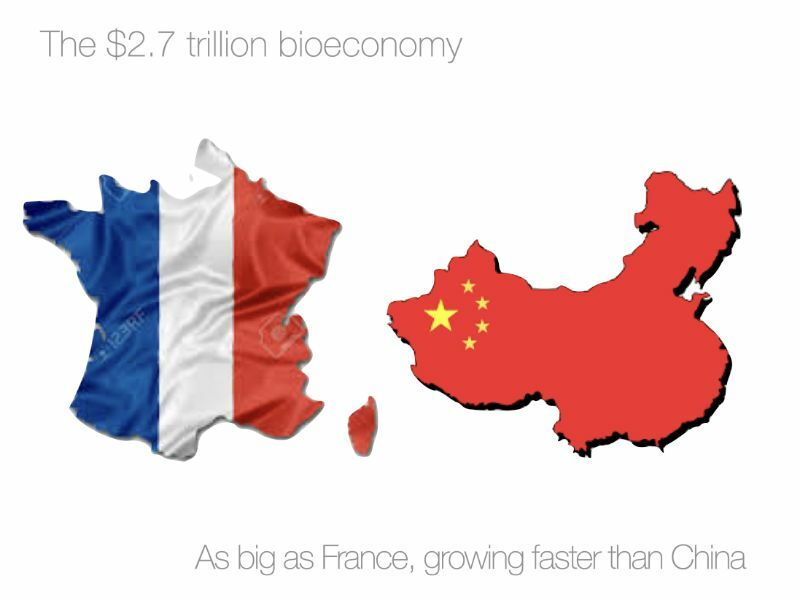 The bioeconomy is $2.7 trillion in annual revenue, as big as France, and growing faster than China. It’s complex. 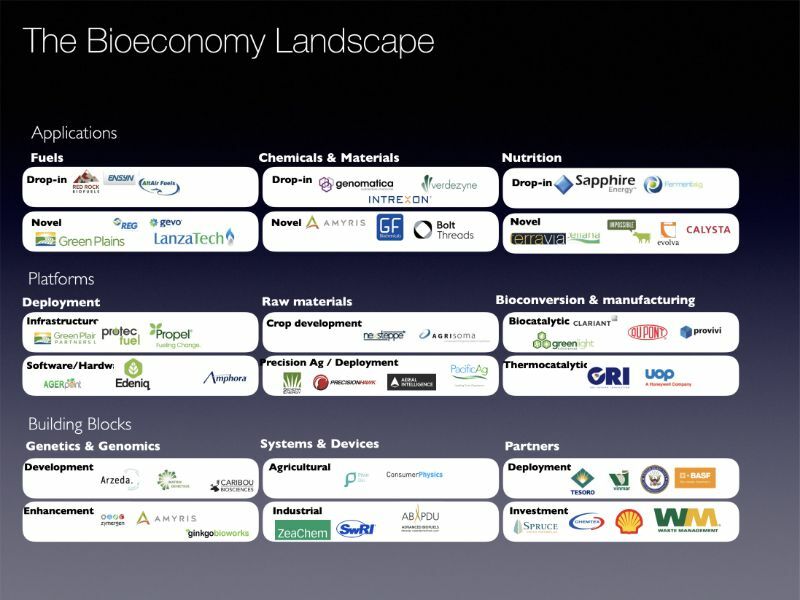 First gen biofuels form just the upper left corner of the bioeconomy map here — from supply-chains to platform technologies, there’s a lot going on.